Evorel Conti patches are a type of hormone replacement therapy for treating menopause symptoms. If you're already using Evorel Conti patches, you can reorder them using Superdrug's Online Doctor service. Fill in a short assessment questionnaire and your online doctor will check your order to make sure your medication is still right for you. When your order is approved, your medication can be posted to you for free or you can choose to collect in store. What are Evorel Conti patches? 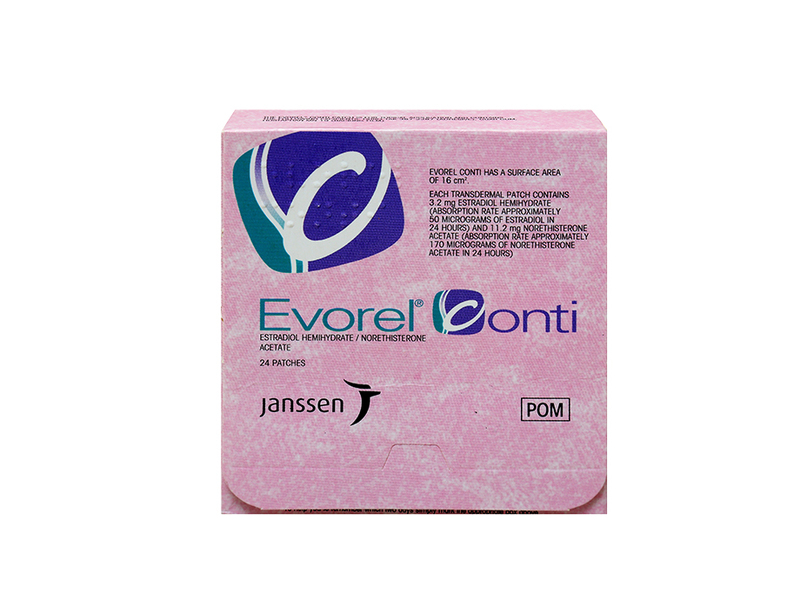 Evorel Conti are patches you put on your skin which release 2 hormones into your body – oestrogen and progesterone. They help you control the symptoms of your menopause. Once you start using Evorel Conti, you need to keep a patch on you at all times. You wear 2 patches every week. Please see the patient information leaflet for information on opening and applying the patches. Can the patches give you side effects?